MPSC Jobs Recruitment Notification 2018.Maharashtra Public Service Commission, MPSC inviting applications for the positions of Assistant Forest Guard and Forest Ranger vacancies.Interested and Eligible candidates can apply for the positions. Total number of vacancies to be filled in MPSC is 69. University degree holders in botany/ chemistry/ forestry/ geology/ mathematics/ physics/ statistics/ zoology etc subjects can apply for the posts. Aspirants must have knowledge of marathi language. For Assistant Forest Guard applicants age can be in between 18 to 38 years. For forest ranger posts the applicants age can be in between 21 to 38 years. Selected candidates as assistant forest guard & forest rangers will get monthly pay of Rs.9,300-34,800/- and GP. On basis of written examination candidates will be going to be hired. 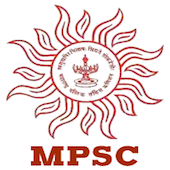 Mode of applying for MPSC recruitment is through online mode. The online portal link will be active from 12th September 2018 to 26th September 2018.
https://mahampsc.mahaonline.gov.in/MPSC/MPSCHome.aspx is the link for contenders to apply directly.